After years of regulating with a light touch, Scottish parliamentarians move toward more government oversight of fish farms. John Aitchison never intended to be an environmental activist, but a few weeks before Christmas 2016, the documentary filmmaker was thrust into campaigning. At a local council meeting in Argyll, a western region of the Scottish Highlands, he and other community members were surprised to hear of plans for a fish farm in the ecologically fragile Sound of Jura. Last week, however, his efforts gained some more validation. On Tuesday, Scottish Parliament’s Rural Economy and Connectivity Committee (RECC) published a long-awaited report on salmon farming that laid out 65 recommendations aimed at improving the industry. The report acknowledges that the previous “light touch regulation and enforcement” had not kept up with the industry’s rapid growth, and many of its recommendations focused on increasing government oversight. These new recommendations include mandatory reporting on disease outbreaks, fish mortalities, and sea lice numbers; relocating poorly sited farms; siting new farms far from wild salmon migratory routes; and preventing farms with high mortality rates from expanding. The report also recommends that the sector prioritize the exploration of offshore farm sites in deeper waters, which would not only decrease the farms’ impacts on seabeds, wild fish, and fish health, but could also make the industry more resilient to rising water temperatures due to climate change. Farmed Atlantic salmon were introduced to Scotland in the 1960s, and the product is now the country’s largest food export. Salmon producers say the industry has been an economic boon, supporting 7,000 jobs and contributing US $2.3-billion to the Scottish economy. The industry has ambitious growth targets, aiming to more than double production by 2030 to as much as 400,000 tonnes. Any regulatory actions will be most strongly felt domestically, but they also have global implications. The challenges that the Scottish farmed salmon industry faces, including sea lice infestations, disease outbreaks, fish escapes, and fish waste also affect the industry globally, says Alexandra Morton, a British Columbia-based researcher and vocal critic of salmon farms. “A lot of my effort has been to point out what is happening in Norway, Scotland, and in other countries” to officials in British Columbia, she says. Meanwhile, back in the Highlands, Aitchison points out that the timeframe to adopt the enhanced regulations could be slow—which also means more time for the salmon farms to continue with business as usual. In the Sound of Jura, Kames Fish Farming has applied to open a new site on the north of the sound. Concerned about the environmental impacts and that it won’t create local jobs, some residents of the Isle of Jura are organizing against it. And if Aitchison’s two-year fight is any indication, they have a long journey ahead. 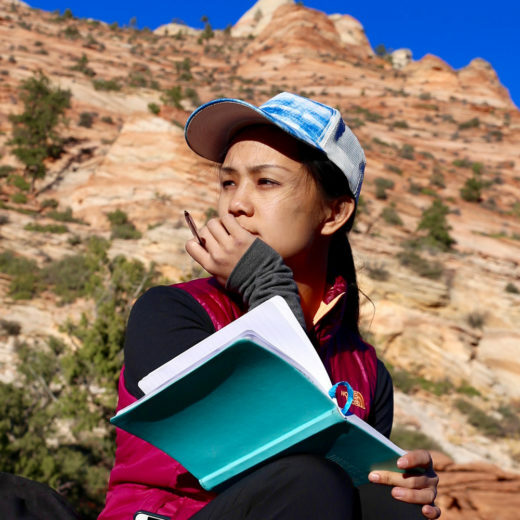 Eileen Guo covers the human stories behind technology, environment, and foreign affairs. She is particularly interested in reporting on communities on the fringes of the mainstream. Before turning to journalism, Guo spent two and a half years in Kabul, Afghanistan, as a media entrepreneur. Cite this Article: Eileen Guo “Rules Are Tightening on Scottish Salmon Aquaculture,” Hakai Magazine, Dec 3, 2018, accessed April 25th, 2019, https://www.hakaimagazine.com/news/rules-are-tightening-on-scottish-salmon-aquaculture/. Proximity to open-net-pen aquaculture seems to have a big influence on the lobster catch in southwestern Nova Scotia. A study suggests that escaped farmed salmon are breeding in Newfoundland’s rivers—with dire consequences for wild fish.